Do you know where the word "editor" comes from? 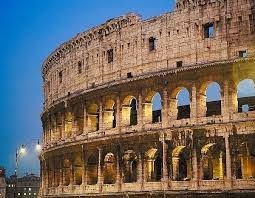 Rumor has it, it was the title of the person who chose who would go into the next fight among gladiators in Ancient Rome. Not that what we are talking about is as serious as that. It may not even be life or death. It is definitely about life. We are going to talk to you about life. Though EQ has been primarily focused on growing things and charities, we are expanding to be about the things that are important in your life, your world. We are going to talk about food, music, money, art, and more. We have new writers and contributors and more content than ever before about the things that matter most to you. We are going to be a voice. I am guessing that life back in ancient Rome was not quite as fun as my job is going to be, but we are going to see. Let's go!